Two weeks back at school from winter holidays and the hard court ballers throughout the GMAA are looking at ways of tweaking their games with under a month left in regular season play. 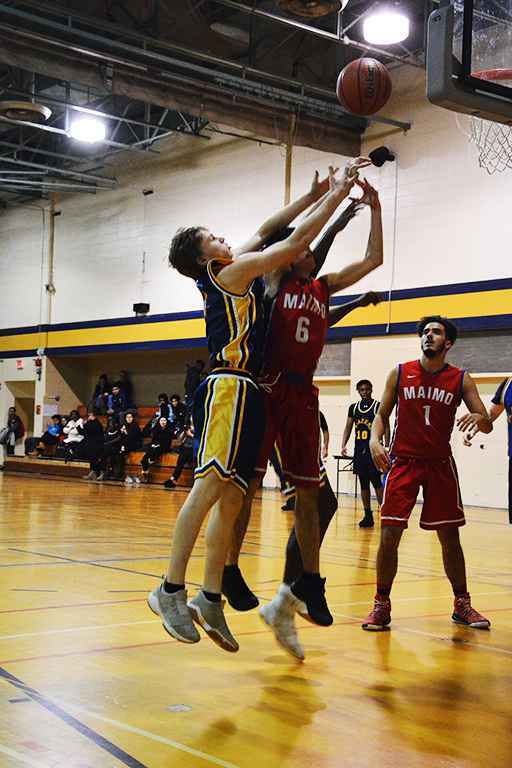 While Kahnawake Survival School waits to play another game, local hoopsters feature on teams across the region. Howard S. Billings’ Blazers Juvenile boys’ team had a hiccup to start 2019, as the team looks to make a run at a banner this year. Billings lost a tight contest against a sharp shooting Ecole Maimonide team last Thursday (January 10) 79-74, handing the Blazers just their second loss of the season. Reece Glover-Kirby had a solid game that he played the majority of working the glass on both sides of the court, pulling down some impressive rebounds. He had four points on the night and Billings could very well have won the contest if not for some unlucky bounces in the final minutes of the game. The boys are back on the court against Selwyn House Thursday. 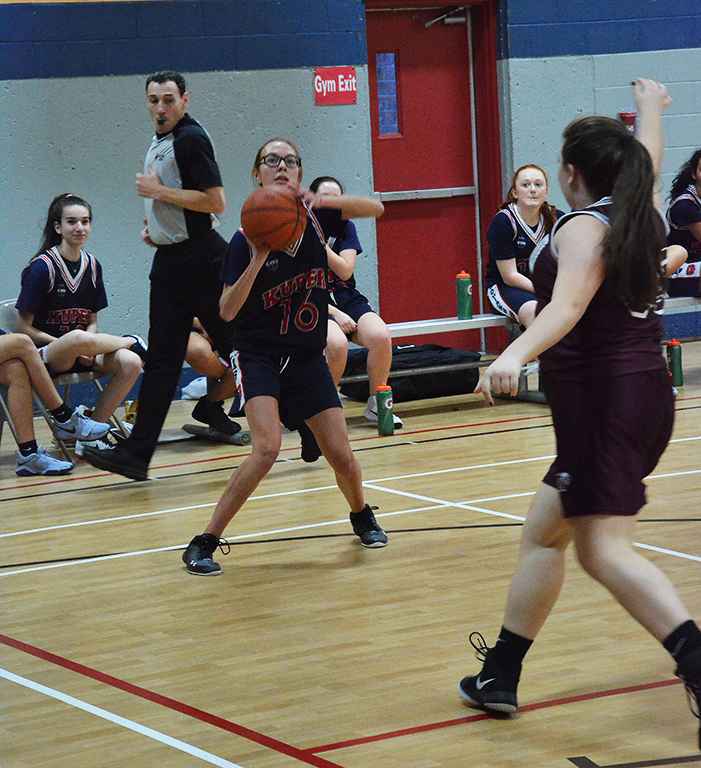 The Kuper Academy Kodiaks’ Juvenile girls team picked up in impressive stride where it left off before the holidays; i.e. winning games. 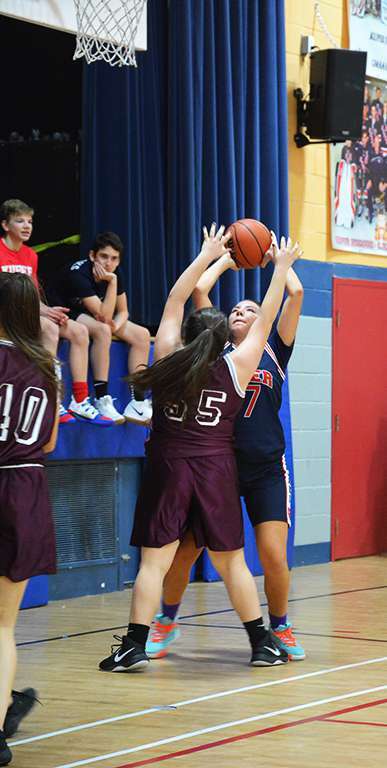 Forward Gracie Diabo and guard Melissa Stacey put quality minutes in for the girls’ 30-18 win over Westwood High School Monday, moving the girls’ record to 7-1 on the season. Cullen Thiessen coached Kuper’s Midget team that won the banner last year after an undefeated season and spoke about the team’s quality this year. Kuper’s quality extends from guard to forward to post positions, and the team has a huge bench, allowing the coach to rotate players. Stacey, for example, sat three games before getting to play Monday. She played well Monday against a Westwood team that put up some solid competition. “It was the toughest team I think that we’ve played against so far in the season,” said Stacey. 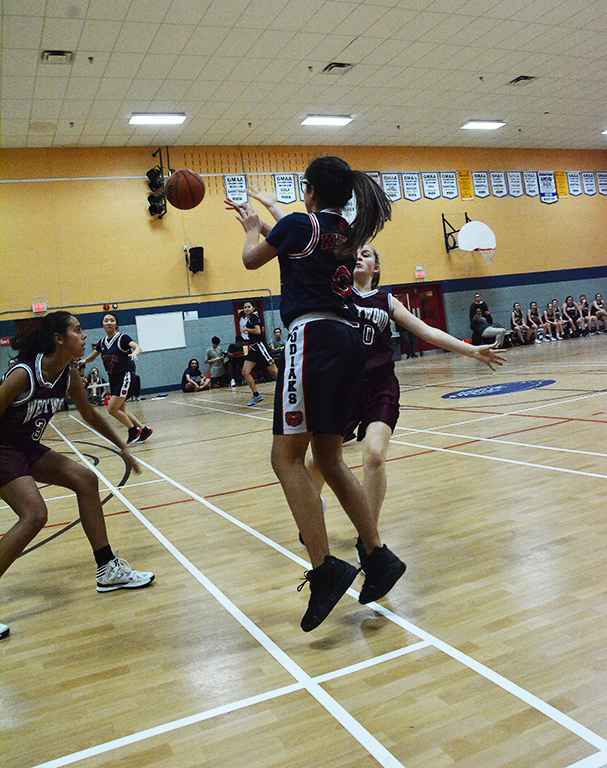 Fellow Kahnawa’kehró:non ballers Sylvia White and Taya Jacobs were rested for the majority of Monday’s game, but entered for about three minutes near the end of the game with the win more-or-less sealed. Kuper’s only loss this season was to the undefeated St. Thomas Knights. The Knights will likely be the team Kuper meets in the finals, should they make it, and the coach is already drilling the girls on what they’ll need to work on to prevail. The Kodiak Juves play the Study Wednesday.